East West Players (EWP), the nation’s longest-running professional theater of color in and the largest producing organization of Asian American artistic work, continues its 50th anniversary season, “Golden,” with the comedic play “Chinglish” by Tony Award-winning playwright David Henry Hwang and directed by Jeff Liu. 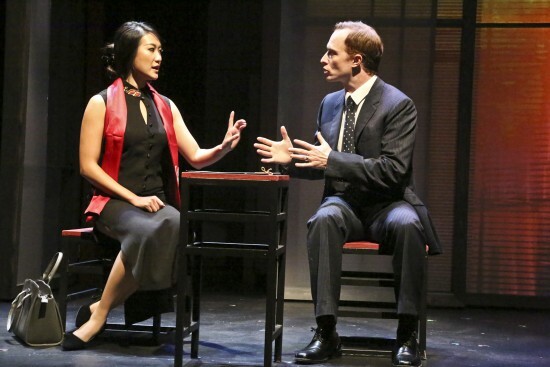 An American businessman who is desperately looking to score a lucrative contract for his family’s firm travels to China, only to learn how much he doesn’t understand: his translators are unreliable, his consultant may be a fraud, and he is captivated by Xi, the beautiful, seemingly supportive government official who talks the talk – but what is she saying, anyway? The cast features Kara Wang (Chen Kaige’s “Caught in the Web” and Daniel Hsia’s “Shanghai Calling”) as Xi Yan, Matthew Jaeger as Daniel Cavanaugh, Jeff Locker as Peter Timms, Ben Wang as Cai Guolang, Leann Lei as Miss Qian and Prosecutor Li, Ewan Chung as Bing and Judge Xu Geming, and Joy Yao as Zhao. The design team includes Hana Sooyeon Kim (sets), Lonnie Rafael Alcaraz (lighting), Yuheng Dai (costumes), Dennis Yen (sound), and Michael O’Hara (props). Stage manager is Sylvia Trinh. 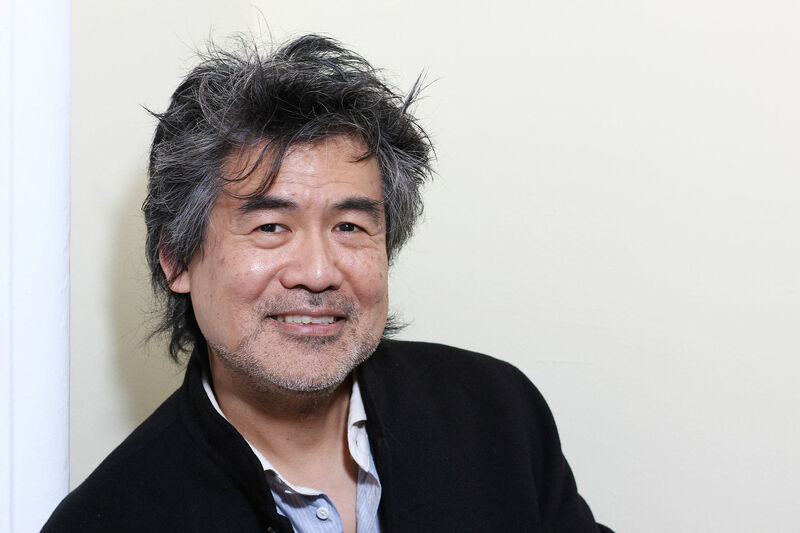 All performances will be staged at the David Henry Hwang Theater at the Union Center of the Arts, 120 Judge John Aiso St. in Little Tokyo. Previews are Thursday, Sept. 10, through Saturday, Sept. 12, at 8 p.m. and Sunday, Sept. 13, at 2 p.m. All preview seats are $23. Opening Night is Wednesday, Sept. 16, at 8 p.m. and includes a 7 p.m. pre-performance cocktail reception, and a post-show reception with the cast and creative team. Opening Night is sponsored by Edison International. Call theater for availability. “Pay-what-you-can” performance is on Thursday, Sept. 17. A talkback with the cast and creative team is on Sunday, Sept. 27, immediately following the performance. A special talkback with Hwang is scheduled for Saturday, Sept. 26, after the 8 p.m. performance. The production runs until Oct. 11. 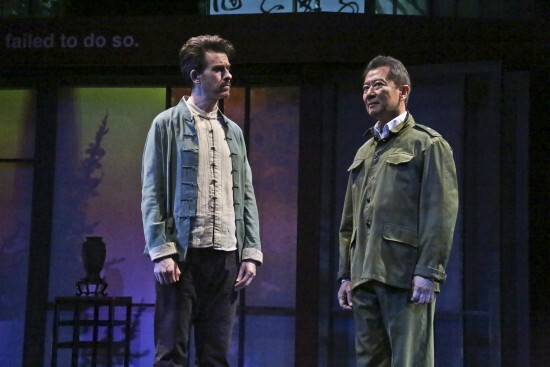 Regular performances run Wednesdays through Saturdays at 8 p.m., and Sundays at 2 p.m. Tickets may be purchased online at www.eastwestplayers.org or by calling (213) 625.7000. Regular tickets range from $28 to $38. Student and senior discounts available. Dates, prices and details are subject to change.